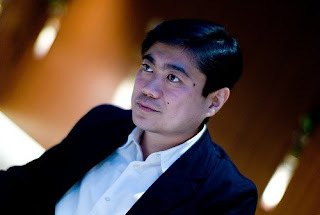 It was great listening to Joi Ito, who had refined his Creative Commons presentation further since SIME. For those of you who haven't looked around too much at the Internet for the past few years, Creative Commons is an NGO that provides licenses that gives copyright owners the possibility to easily share their works in the way they want. A very famous and recent example is the Barack Obama campaign who continuously shared CC-licensed photographs on Flickr during and after the campaign. Of course I share a lot of my own material using Creative Commons, and I'm also using it for both this and my other Swedish blog both for building and posting to the blog. Sharing digital content in a creative manner is becoming hugely important. I am becoming more and more concerned over the fact that quite a few legislators in Sweden seem to be out of sync with how technology is changing the world.